Join us for the first ever UK Science Festivals Network Conference – a new conference for anyone who is interested or involved in organising science festivals, events or activities. 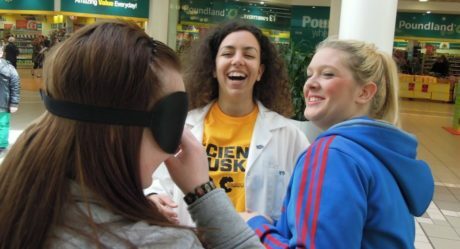 Thrilling, rewarding and exhausting: three words all science festival and event organisers can relate to. Despite the chaotic mixture of emotions we often feel, we’re all in this because we have a passion for putting on exciting and engaging activities for our audiences. Whether it be fine tuning the logistics, producing a high-quality programme or meeting inspiring people, everyone has favourite (and not so favourable) aspects of their role. The UK science festival ecosystem is diverse and constantly evolving, but we rarely take the time to celebrate what we have achieved or to look ahead to some of the challenges and opportunities for the sector. This is where the UK Science Festivals Network (UKSFN) come in – we bring together science festivals and non-science festivals with scientific content to consider the highs, lows and future of festival organisation and management.